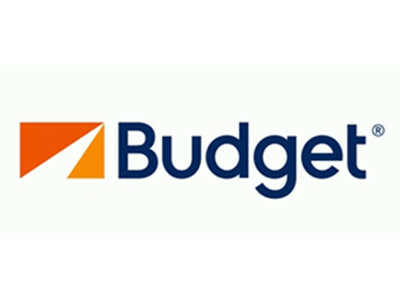 Use coupon code to get up to 30% off your car rental at Budget and receive free upgrade. Enter code in BCD box, NOT coupon box. Limited time only. Some restrictions apply. Get $30 off a rental of 5 consecutive days at Budget with coupon code. A Saturday night should be included. Exclusions may apply. Save $35 on weekly rentals from Budget with coupon code. Enter the code in the coupon code box. When you book a full-size four-door car for at least 3 days at Budget, you can get a Sunday for free. Saturday night overstay required. Enter code in the coupon code box. Budget offers a free day for weekend car rental of 3 days or more. Limit to intermediate- full size cars. Excludes NYC and Hawaii. Save 25-30% off for orders from Budget with the use of the coupon code at checkout. Restrictions may apply. Click "Redeem Now" to view more promotions. Save up to 35% with no code needed at Budget Car Rental Home. Getaways get families together. For more information, please click "Redeem Now". Save up to 30% off base rates for Canada deals at Budget Car Rental Home with no code needed. See how far your dollar can go in Canada. For more information, please click "Redeem Now". Enroll in veterans advantage to save up to 25% with no code needed on all your rentals across America and at participating international locations at Budget. For more information, please click "Redeem Now". Rent your car today and enjoy 45% off with entering required information and coupon code in the BCD Box, Not the coupon box. Rent your car at Budget and enjoy 35% off today. Enter coupon code when you rent with this deal. Make the most of the coast with Budget! Save up to 10% in North America with your coupon code when checking out at Budget. Click "Redeem Now" to log onto the online site of Budget. Discover the charm of the Maltese Islands in your Budget rental with a 30% off discount! Use your code in the limited time to enjoy this offer. Click "Redeem Now" to view more on the online site of Budget. Get up to 30% + $15 off a two-day weekend rental at Budget with given coupon code at checkout. AARP members exclusive. Limit one coupon per rental. Click "Redeem Now" to view more. Use the given coupon code and receive one rental day free when you rent a Compact through a Full-Size Four-Door car for three consecutive days, including a Saturday night. Offer valid at participating Budget locations in the contiguous U.S. (excluding the New York Metro area) and Canada. Redeem the discount by clicking "Redeem Now". Apply your coupon code and enjoy free single upgrade at Budget. Valid for a one time, one car group upgrade on an intermediate (group C) through a full-size four-door (group E) car. A 24-hour advance reservation is required. Other restrictions may apply, click "Redeem Now" to view more details. Budget provides you 20% off on personal truck rentals picked up any day of the week. Enter the coupon code and it will automatically be applied when you rent with this deal. Save 25% on rentals Sunday through Thursday, when picked up and dropped off at the same Budget truck location. Use coupon code to check out when you rent with this deal.